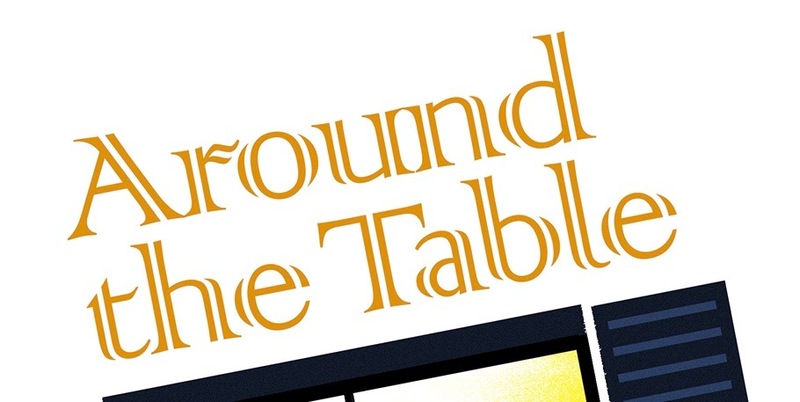 Do you ever go to a potluck meal and discover that the food you brought wasn't all eaten? How about: was hardly touched? I've had that happen. Probably because I brought roasted vegetables which went up against cheese sauce laden broccoli, mayonaise smothered potato salad, and Snickers/marshmallow/whipped cream "salad." Who's going to go for good-for-you when you can have rich, creamy, and sweet? Wednesday night we had a loaded potato bar dinner at our local church. The committee in charge provided that (and it was a great idea!) and my half of the alphabet was to bring salads. I'm proud to say, my salad bowl was scraped clean! One friend told me, "Sharon, that salad was delicious...I commented on it several times as I ate it! Yum!" "That salad was yummy, Sharon," another friend said, "I tried to get seconds but it was all gone!" Does a cook's heart proud. My salad is a variation of one I found on Pinterest. Here is the original. 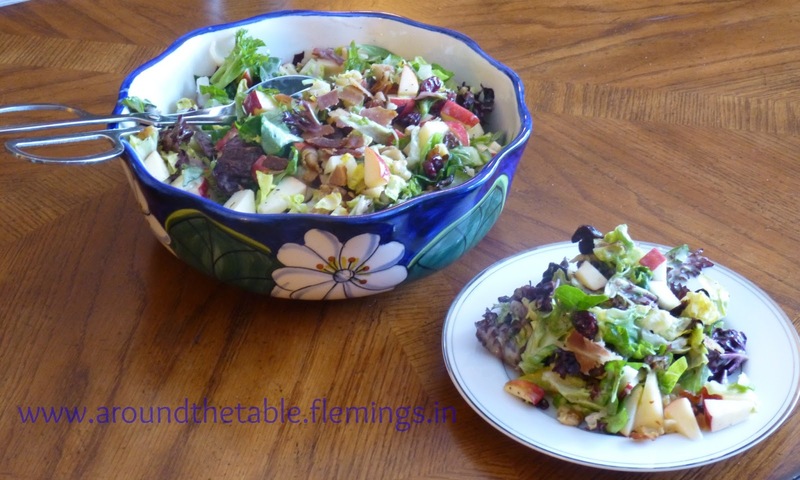 This is the one of the newest in my repertoire of salads. Here's the recipe. To keep the apples from turning brown, I dunk them in lemon juice before placing them in the salad. Reserve 1 Tablespoon cranberries, 1 Tablespoon walnuts, and 1/4 of the bacon bits; set aside. 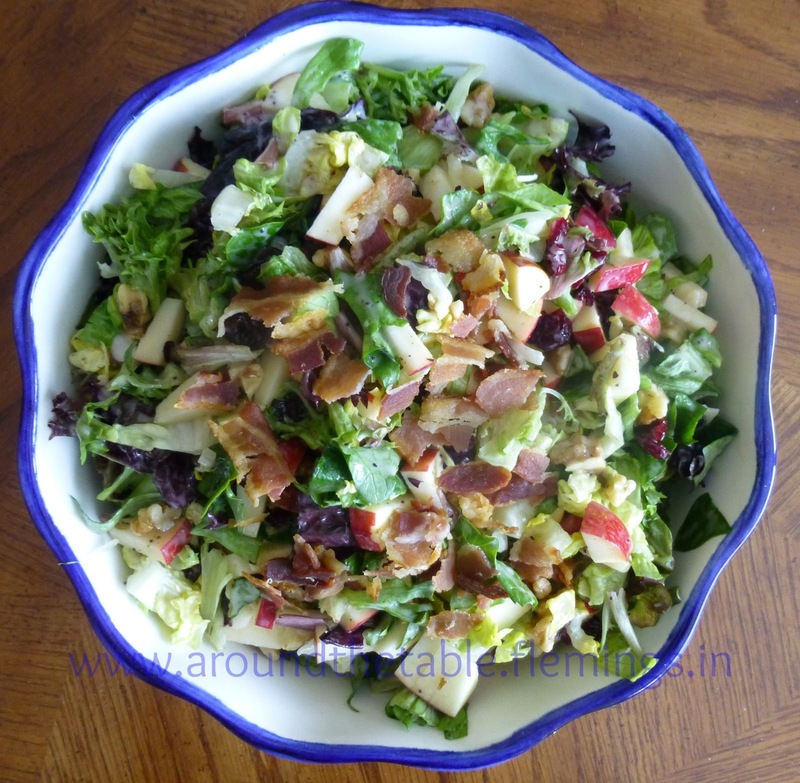 In a large bowl, combine the lettuce, apples, cranberries, walnuts, and bacon. 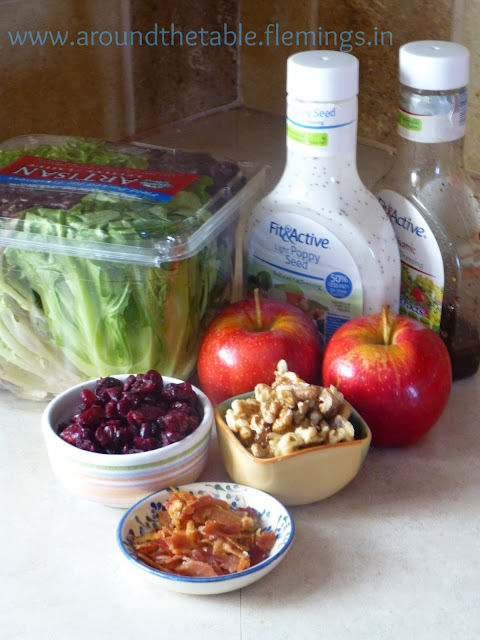 Mix together dressings. Drizzle over salad and toss. Sprinkle reserved cranberries, walnuts and bacon over top. Connect with your family over delicious and nutritious food! Thanks to those who took a minute to click on the "Vote for Us" button on the right (and up a little). This blog went from 900-something to 226 in the rankings in two weeks! Please keep it up and tell others about this blog if you think it is helpful and worthwhile. After all, there's no point in writing if no one's reading! This salad looks delicious! I see you shop at Aldi (one of my favorites too) I've pinned it to make later. I am also your newest GFC follower. I hope you'll visit me soon and maybe even follow back. I have really enjoyed Aldi's since we came to the states! Yummy! I love chopped salads! I love salad. I am a chocolate junky but I do love salad. THis one sounds and looks wonderful. Thanks! I can see why it was scraped clean. I love salads with fruit and am eager to try it. I hope you do. We love it! Yum, think I will make it. Oh my goodness! Looks so good. That's gonna be my lunch tomorrow. Thanks for sharing the recipe! That sounds delicious! Thanks so much for sharing at Whimsy Wednesdays! Visiting from The Grand Social. This recipe looks awesome. Can't wait to try it. Gosh that looks good! Thanks for linking with me! Looks amazing.. and healthy too.